Is religious belief reasonable? Specifically, is the doctrine of the Catholic faith consistent with reason? 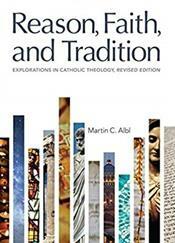 Drawing on Catholic and Christian theological traditions, Martin Albl engages readers in theological thinking on various topics including the Trinity, Christology, ecclesiology, human nature, sin, salvation, revelation, and eschatology. Clear and focused, the text links traditional teaching with contemporary issues to show the relevance of faith to contemporary issues. A glossary, cross-referencing system, text and discussion questions, and footnotes with information about Internet resources provide more in-depth information.